For Filipinos, nothing’s more great than to pay homage to the Philippine national hero that is Jose Rizal who celebrated his 150th birth anniversary last 19 June, this year. For the traveler, nothing’s more significant than retracing the steps of the national hero in 27 shrines around the country from Luzon to Mindanao and knowing better the life of the hero and the importance of each place. This heritage trail project, the first in the country was launched during the sesquicentennial and already, some have completed all sites having been stamped per destination. For this travel blogger, I only lack a few more stops: one in Mindanao, one in Daet, Molo in Iloilo, then Antipolo, Paco Park, Malolos and Calamba in Laguna, his birthplace and will be blogging about each cluster or site starting next year. 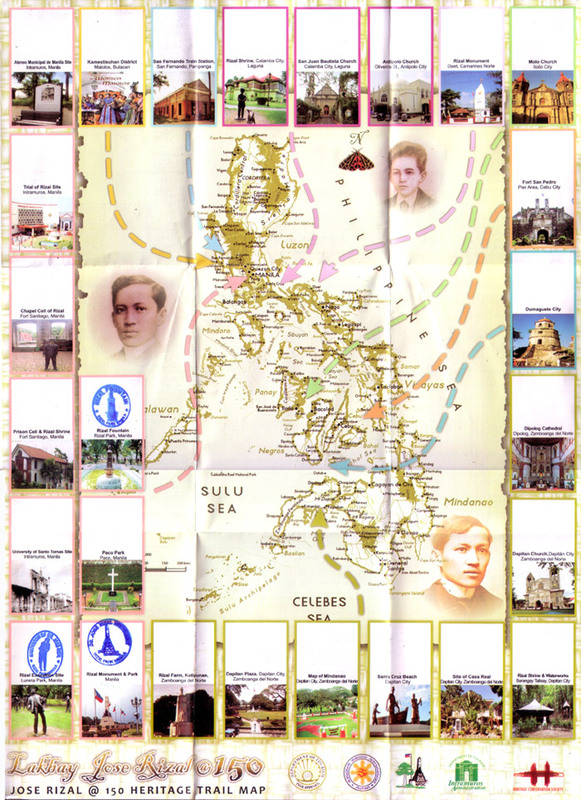 For today’s Rizal Day celebration, its not yet too late to get the passports at different tourism offices in provinces and for those who still have places to visit, you still have half a year to complete it. Go and travel to some of the beautiful places in the country included in this heritage trail and get to know more about being Filipino. This is also known as the Lakbay Jose Rizal and is a joint project by Department of Tourism, Heritage Conservation Society, Intramuros Administration, National Historical Commission of the Philippines, Cebu Pacific and the National Parks Development Committee. More info at the Rizal150 Facebook page.